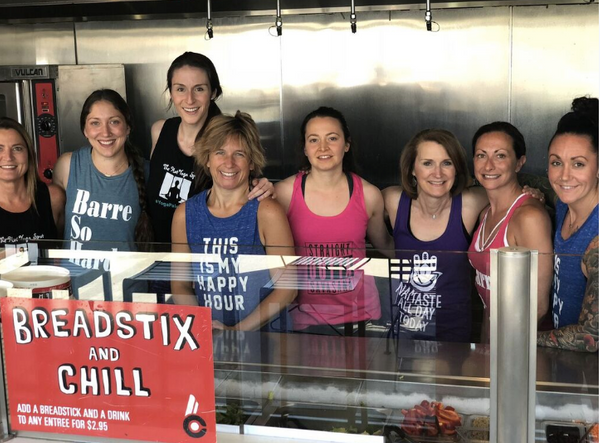 The Hot Yoga Spot is so excited to help CoreLife Eatery host their annual YogaFeast this year in Clifton Park. 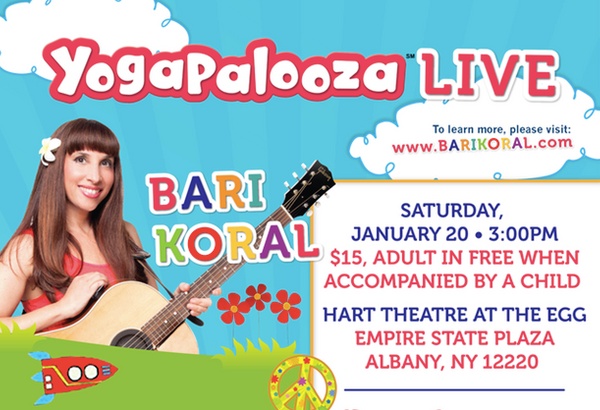 Join us for a beautiful day of yoga, nourishing food, warming teas, wellness vendors pop up shopping and much more. 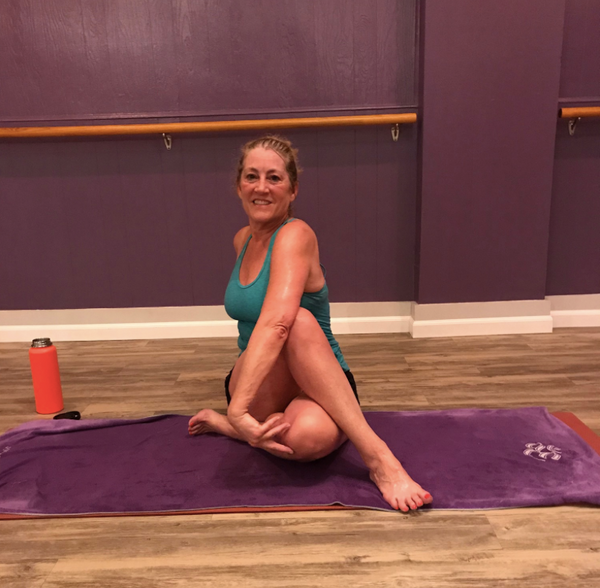 March Madness is a great way to dedicate yourself to being present on your mat and in your life. 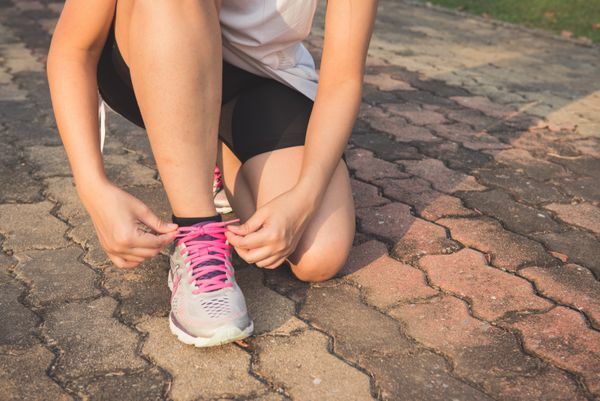 Try new things and switch up your routine to create positive changes in your body and mind. 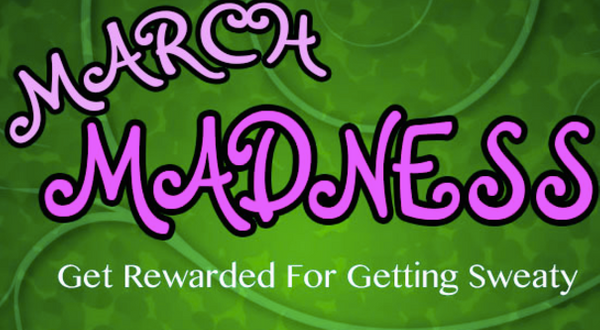 Enjoy all of this while also earning great prizes. Want to achieve your best body yet this winter? 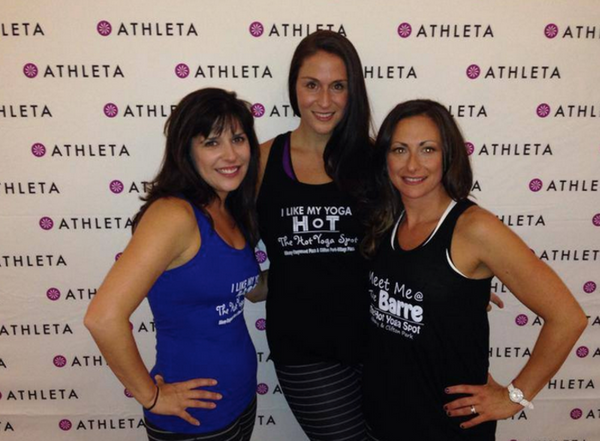 Then follow the advice of our pals over at Girlnetic and try barre fitness classes at The Hot Yoga Spot. 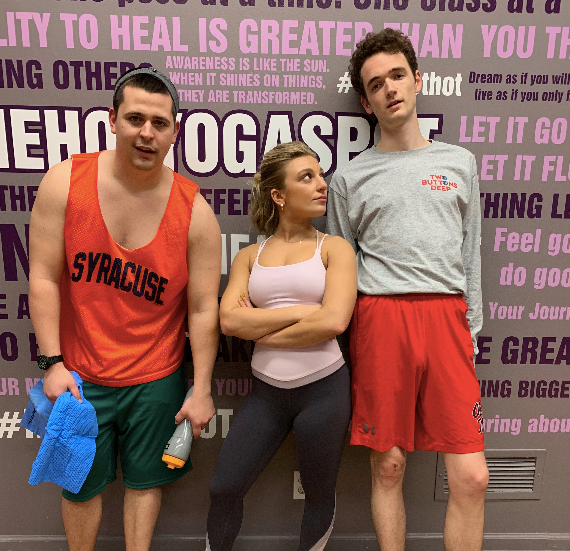 Click the link to read this article and learn four reasons why these classes are the perfect way to beat the winter blues and feel your best all year. 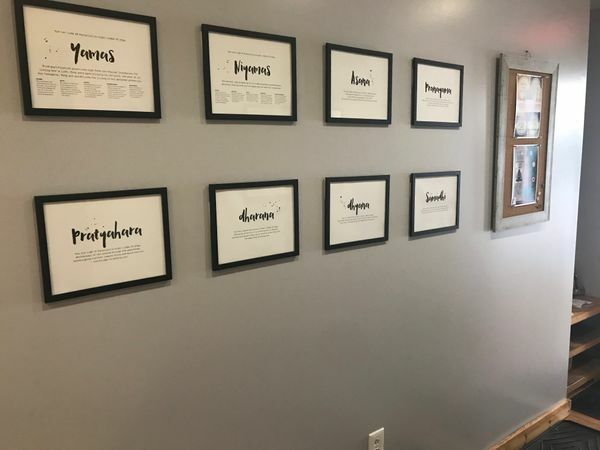 We are so excited about the New Year and all of the new opportunities that 2019 brings for growth in our community and personal development. This is also a perfect chance to reflect on last year and the transformation we experienced as a community in 2018. 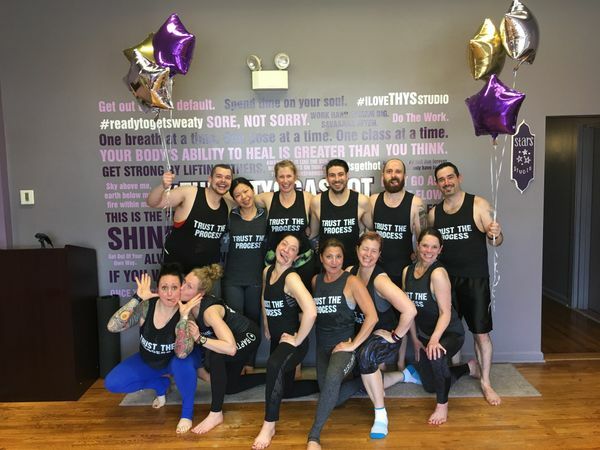 In addition to our ever growing assortment of classes and offerings, we also accomplished some amazing things together with exciting workshops, powerful fundraisers, new yoga styles and more. 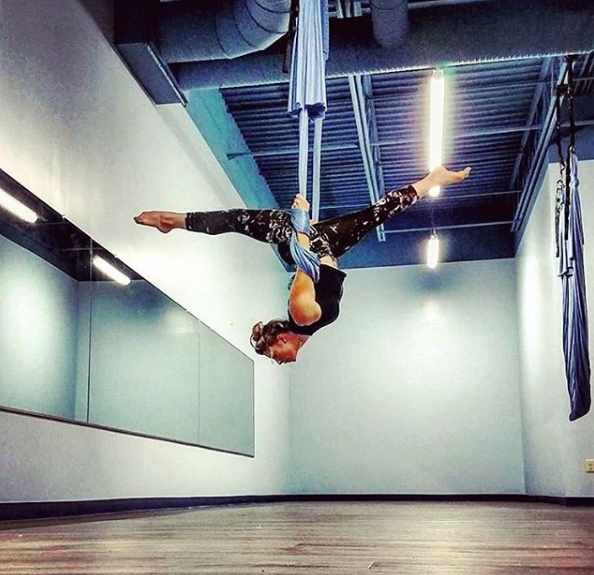 What Is Aerial Yoga and What Are The Benefits? 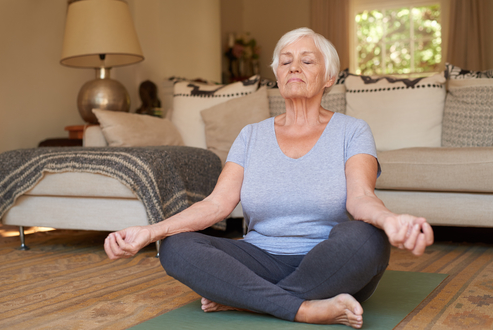 Practicing yoga has long been considered one of the best ways to stay fit and release stress. 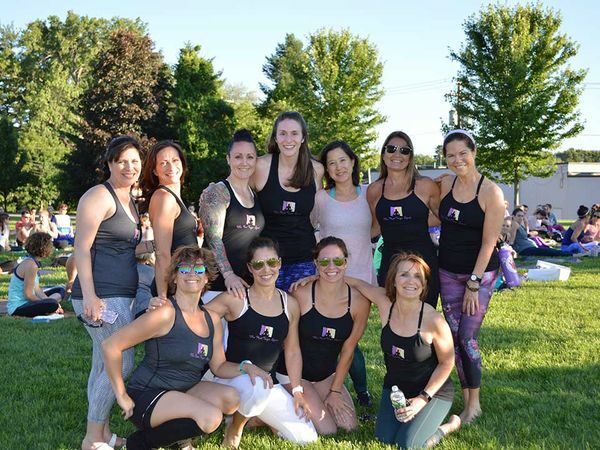 While traditional yoga is great for the mind and body, Aerial yoga has a few additional benefits. 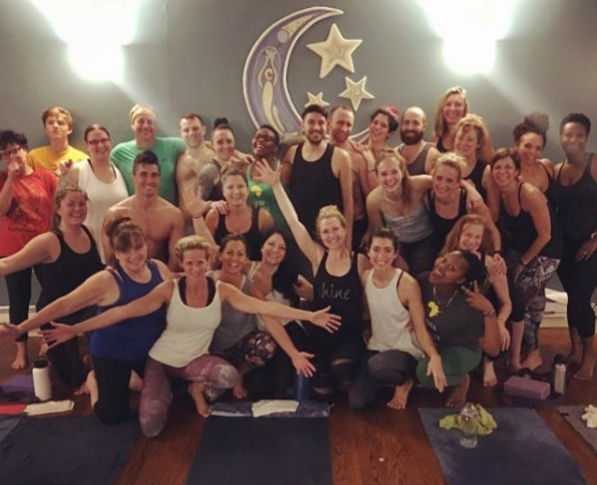 We’ve recently rolled out new Aerial yoga classes at our Albany studio, and we encourage both newbies and longtime yogis to try this exciting new offering. 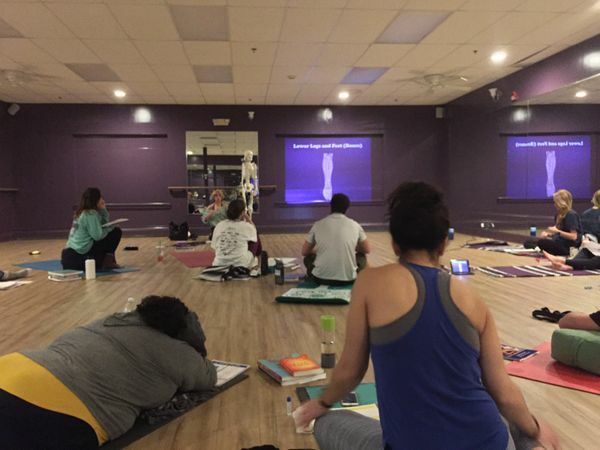 Read on to learn more about what to expect at an Aerial yoga class, and the benefits that Aerial yoga can provide. 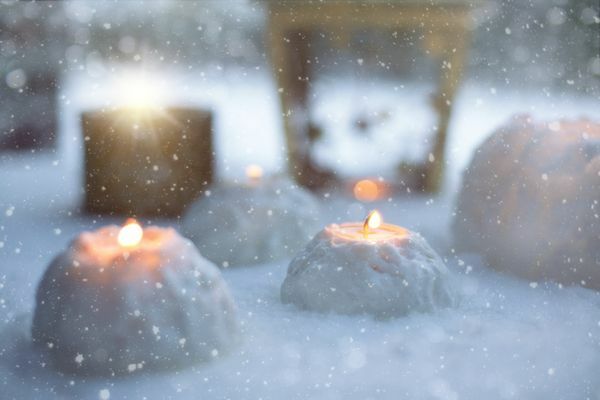 The holiday season is supposed to be a time of celebration. Unfortunately, it often becomes a source of anxiety for many people. Whether you’re preparing a Thanksgiving feast or shopping for last-minute Christmas gifts, the extra load can make the holidays seem more like a job opposed to a celebration. 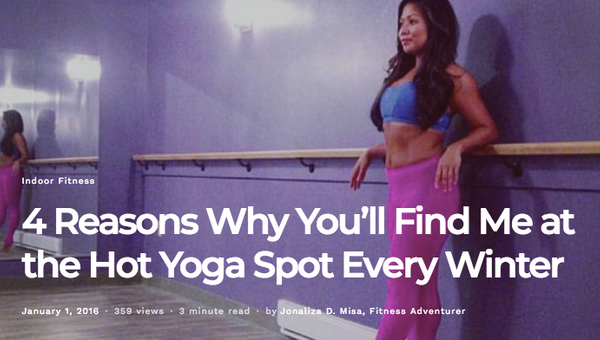 Yoga is among the best activities to put your mind at ease. 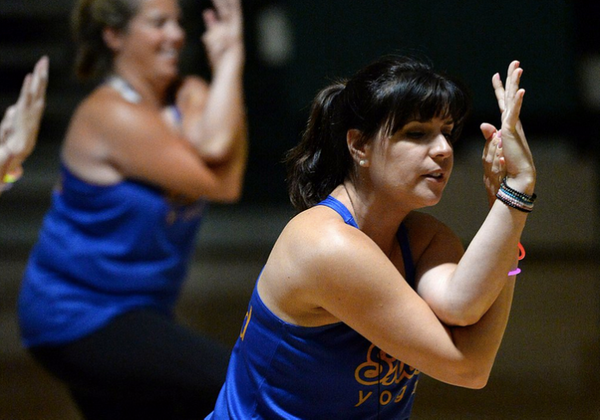 Here’s how yoga classes can help with holiday stress. 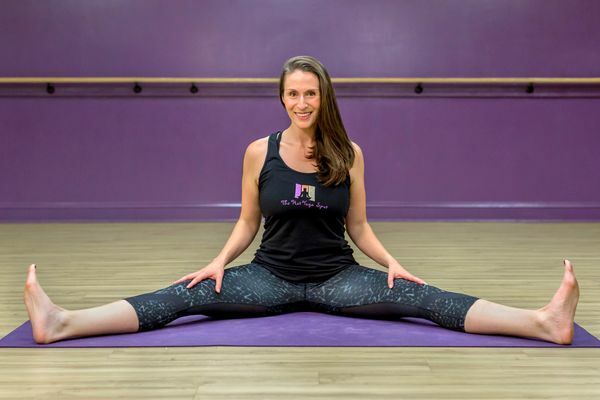 Whether you want to open your own studio or are simply looking to go deeper into your personal practice, a yoga teacher training program can provide the foundation you need to live a life that's all about yoga. Choosing the right training program for your needs is an essential first step on this new journey. Of course, picking a program can be tough. 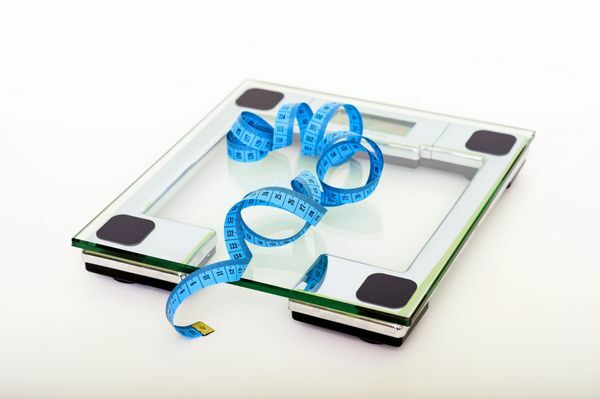 Here are four key factors that you should weigh when you evaluate a teacher training program. 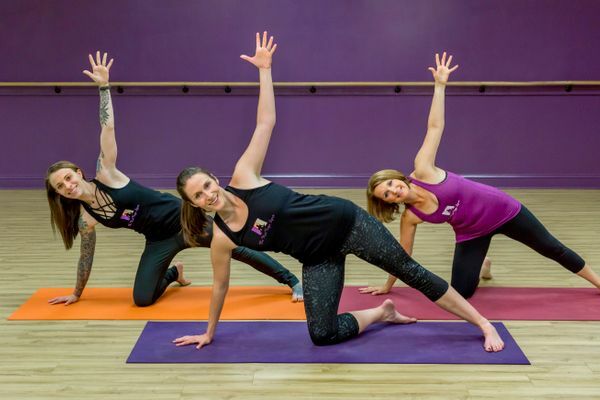 The Hot Yoga Spot is excited to host Africa Yoga Project's Handstand, Hugs and Happiness tour for its second annual trip to the Capital Region! 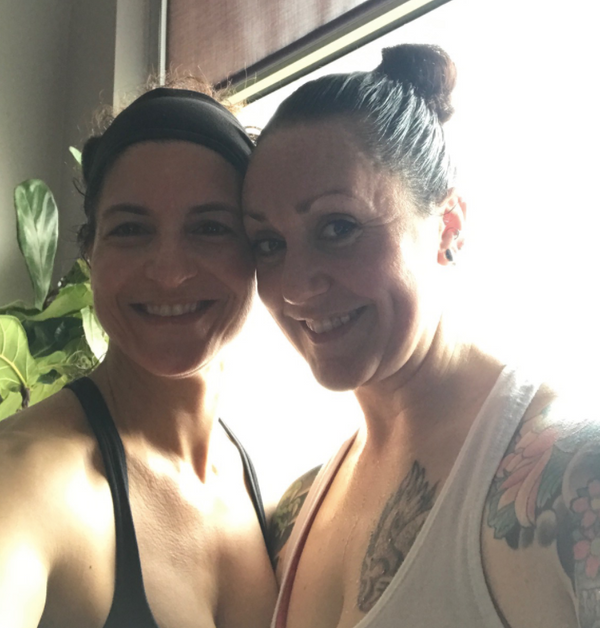 This year we will be hosting AYP instructors, Millie and Lizie, as they make their way around the country sharing their energy, love of yoga and mission of empowering change. 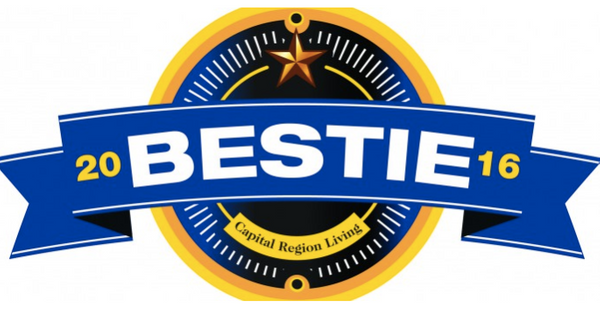 Fit to Lead is a year long training program through the Baptiste Institute. 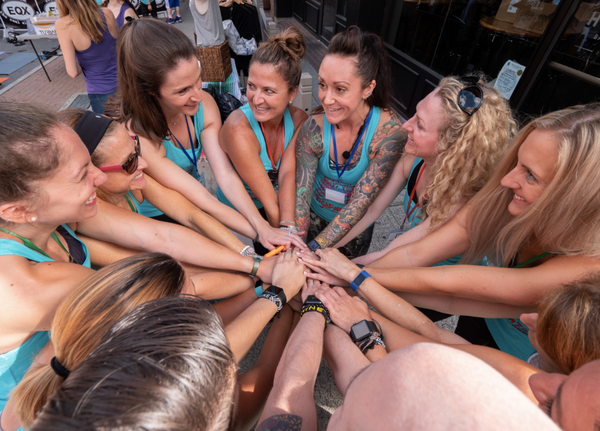 Participants meet quarterly in person and stay connected via monthly video calls. 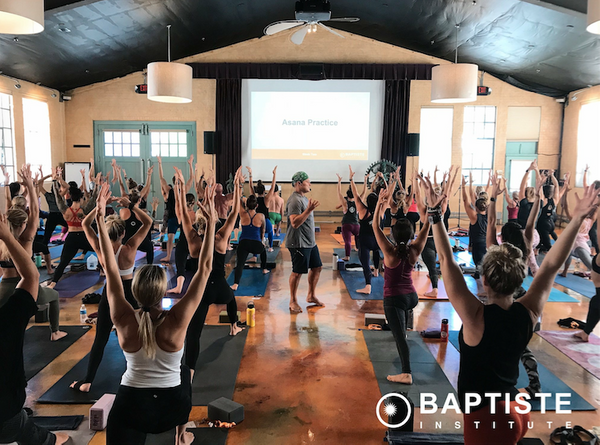 The purpose of the program is to become a natural leader and educator of the Baptiste methodology and have it become a natural expression of who you are. We will have the ability to powerfully and naturally alter what is possible in our classes and in all areas of our lives. 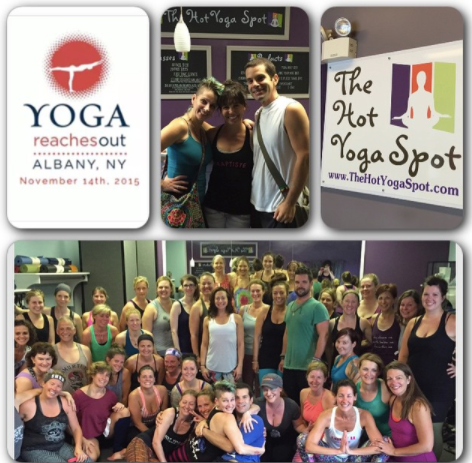 Join us at The Hot Yoga Spot in Binghamton, NY for our fall open house. 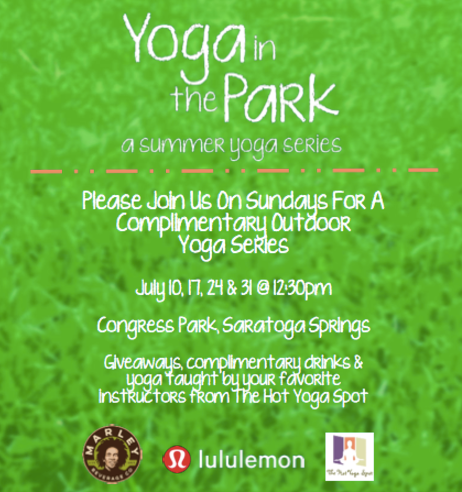 This weekend includes free yoga classes, specials on packages and discounts on our yoga teacher training and apparel. 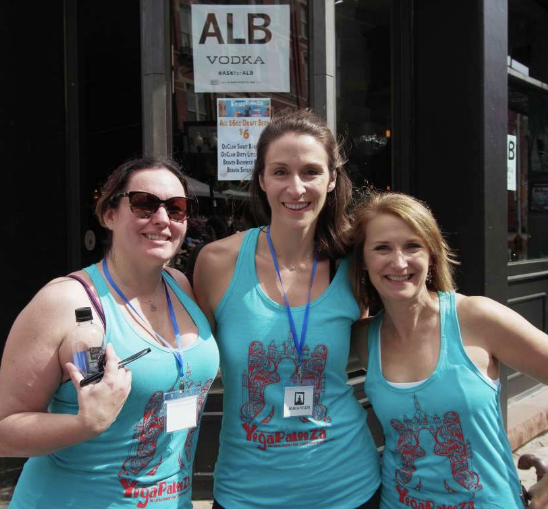 Enjoy free juice, meet our new instructors and mingle with our community. 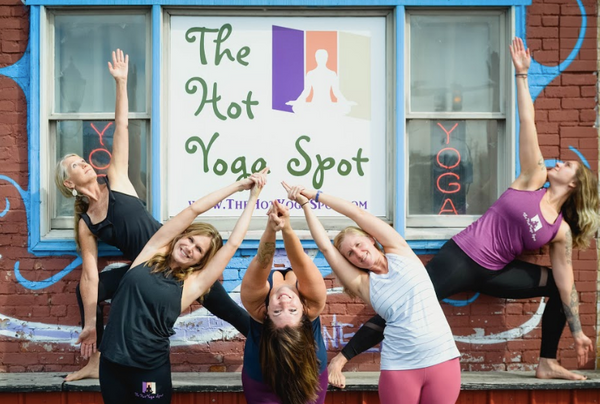 This event is the perfect opportunity to see why The Hot Yoga Spot is the coolest way to get hot. 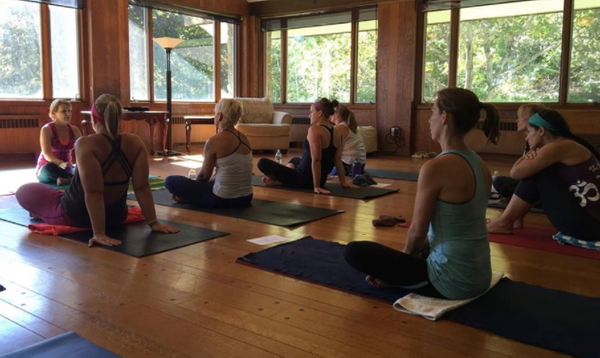 Which Yoga Teacher Training Program Is Right For You? 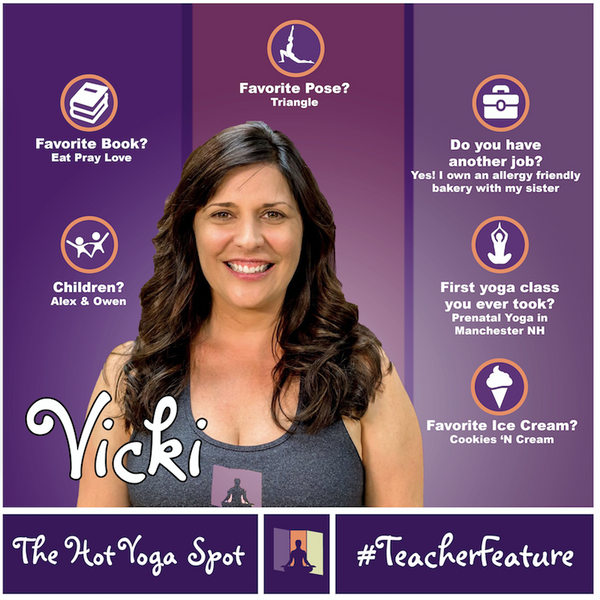 Choosing a yoga teacher training program can often be a difficult decision. Five years ago there were limited options and you often had to travel to complete a 200-hour program. 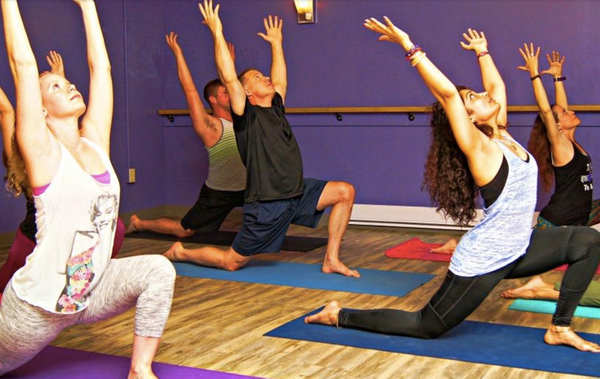 Now that yoga has become increasingly more popular, there are many local options. 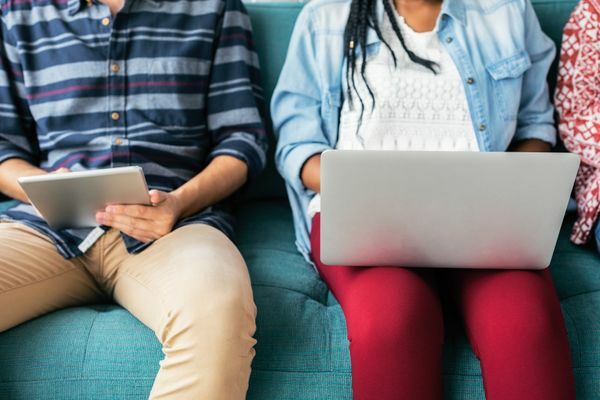 Here are a few questions you should ask yourself before signing up. 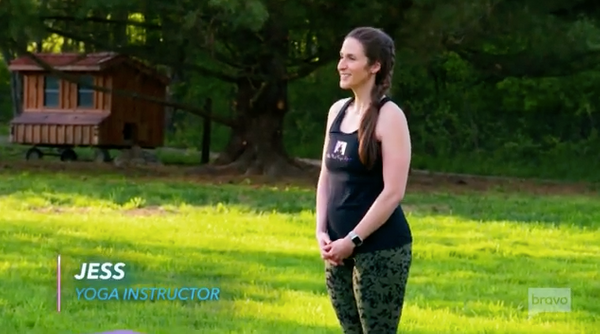 Do you resonate with the instructor? 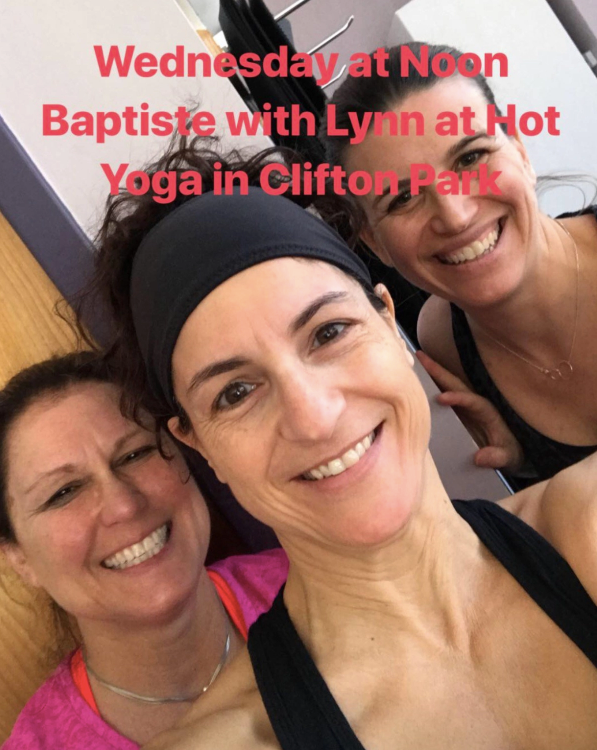 Bikram yoga classes provide opportunities to take part in a challenging and rewarding type of yoga. The experiences result in a number of mental benefits. 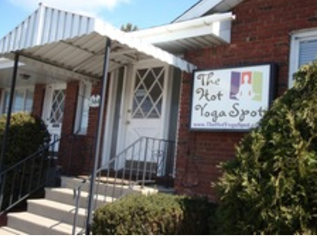 The Hot Yoga Spot offers the Styles Yoga 200 hour and 500 hour teacher training at our Latham and Albany locations. This program is perfect for anyone who wants to learn the tools, knowledge and confidence to teach others. 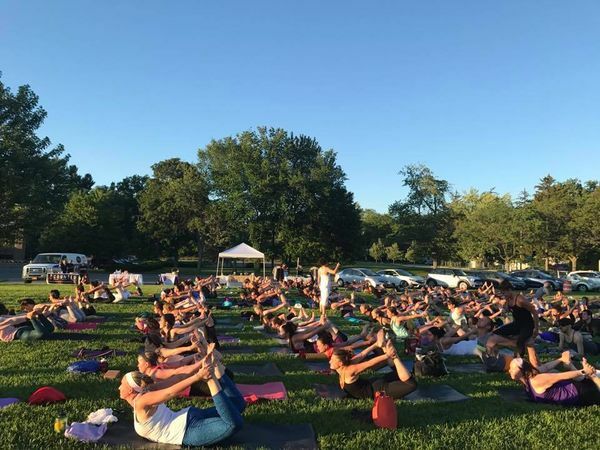 It is also a perfect opportunity for those who love yoga and just want to participate in a training to learn more about it and enhance their lives. 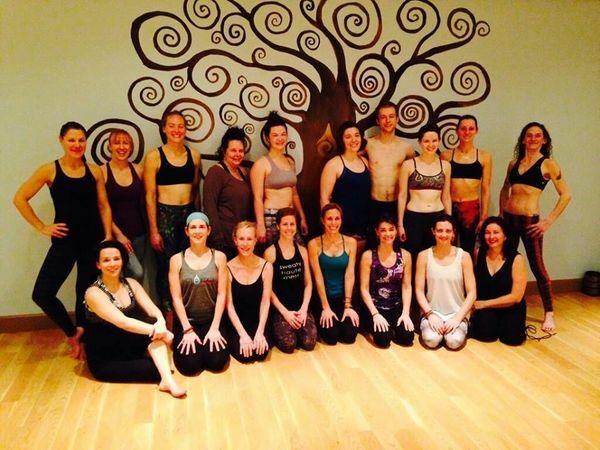 Learn more about what our students and teachers feel about their experience doing the Styles Yoga teacher training. 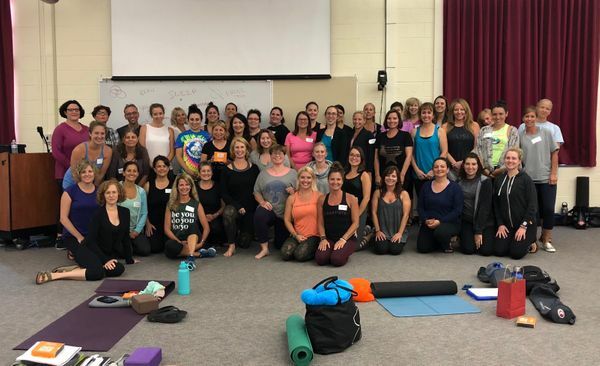 The Baptiste #Unstoppable program took place in Guilderland, NY this week and taught 60 educators the tools to incorporate yoga and meditation into their classrooms. 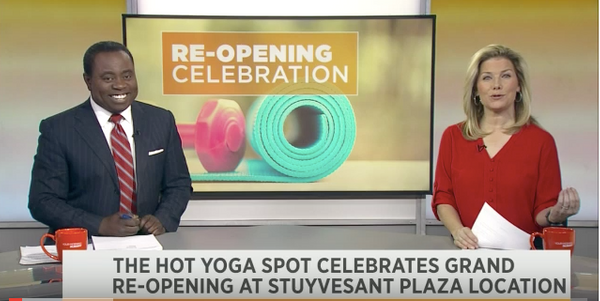 This program was created by Baptiste certified instructor, Melissa Leach, at The Hot Yoga Spot in Stuyvesant Plaza. 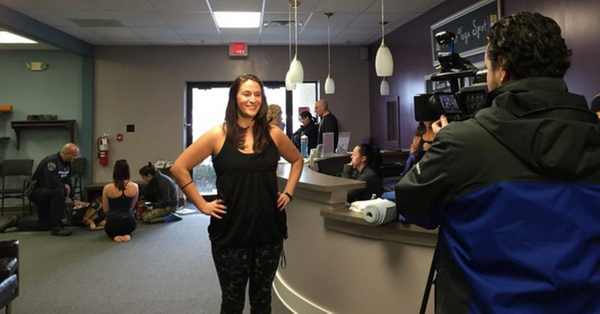 Click here to watch the story and learn more about this amazing program. 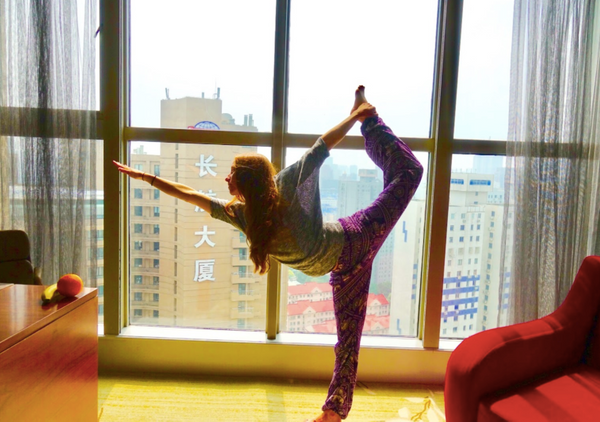 When you visit our yoga studio, you get to experience all of yoga’s benefits that shape your mind and body. 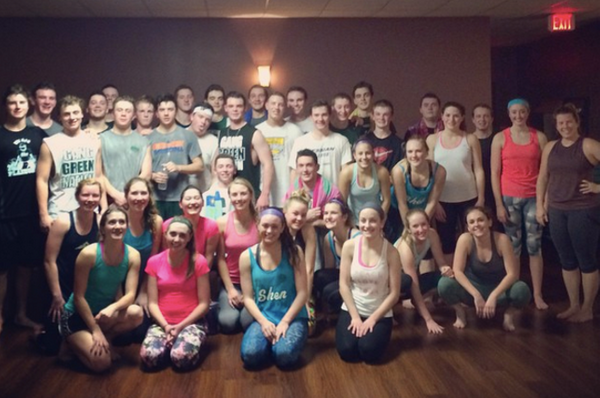 For some students, it’s easy to let your health take a back seat to other things in life. Between a lack of sleep, demanding hours, and poor diet, your body may not be at its best physical and mental state. 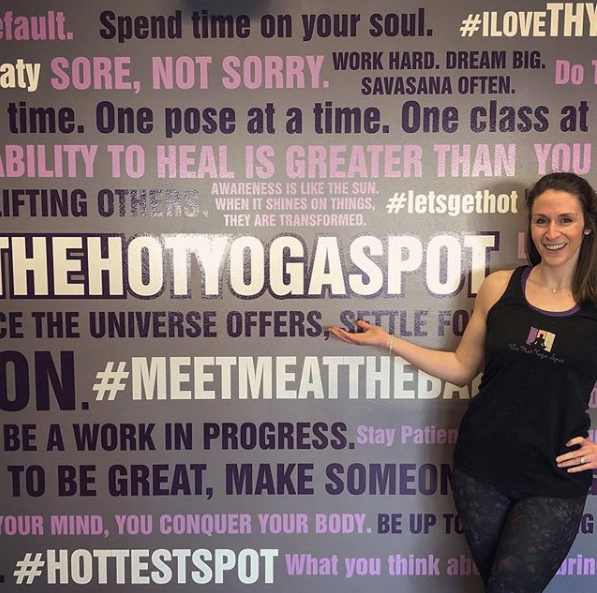 Practicing hot yoga can result in positive changes that not only make you feel better physically but also emotionally. 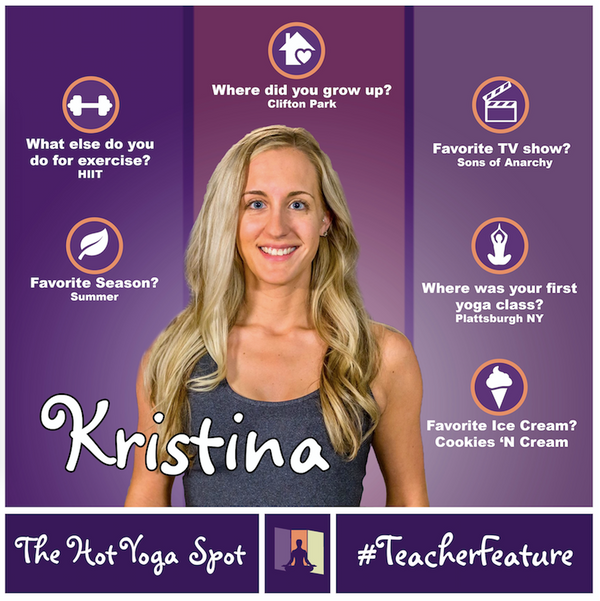 Read on to learn just some of the benefits of hot yoga for students. -Today I turn 65. As birthdays go, it’s not an easy one. At 65, most of us have experienced a lot... some good.. some bad... some truly insignificant. And, let’s face it, we’re not young anymore. Our bodies are aging and life is changing. But I feel great! 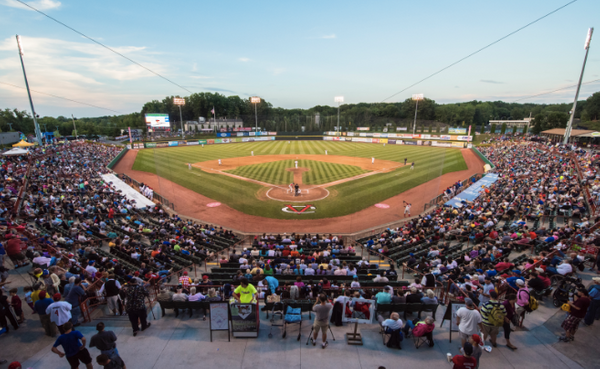 Joe Bruno stadium before the Tri-City ValleyCats game. 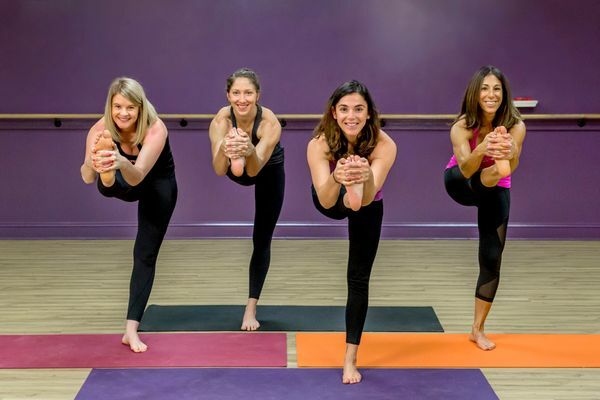 This special event is a night of fun and we can't wait to spend it with our yoga community. 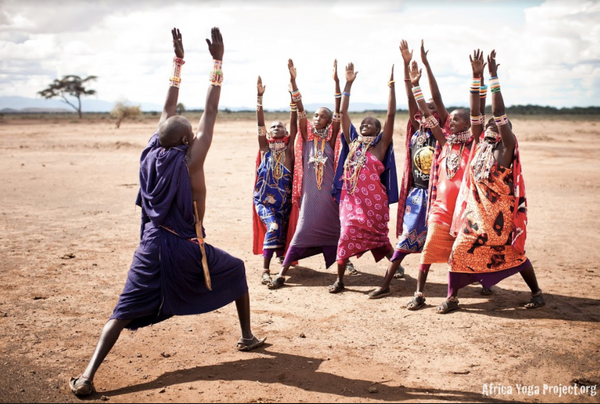 -Yoga led by Jess P. & Kayla on the field. 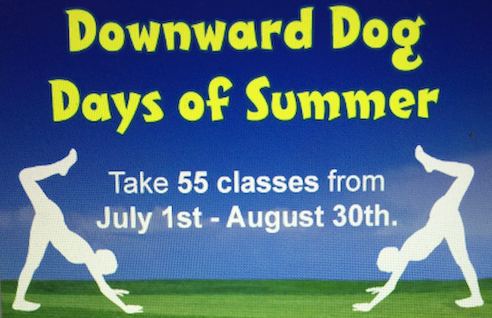 -Class starts at 6:00pm so plan on arriving around 5:30. 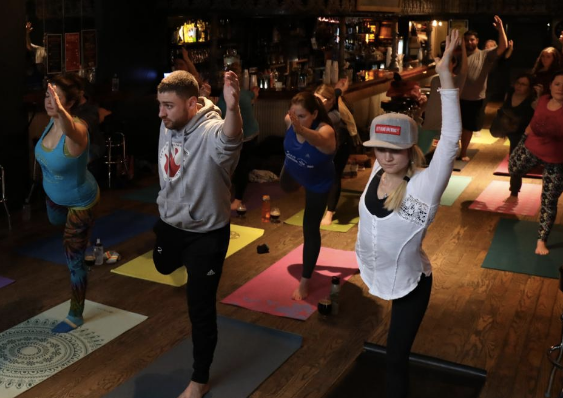 -After class, stay and watch the game in the designated area for The Hot Yoga Spot community. 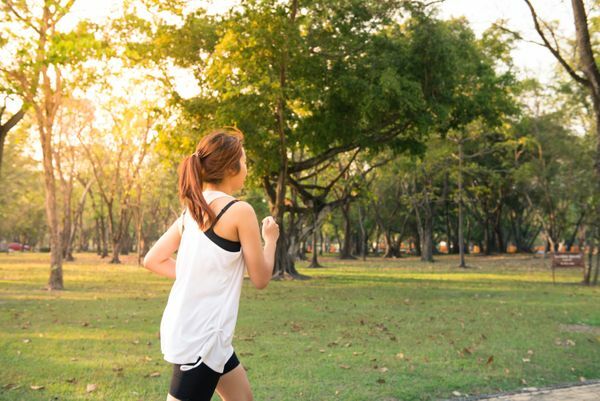 We care deeply about the health and wellness of our community and know many students enjoy running outside during these warmer months. 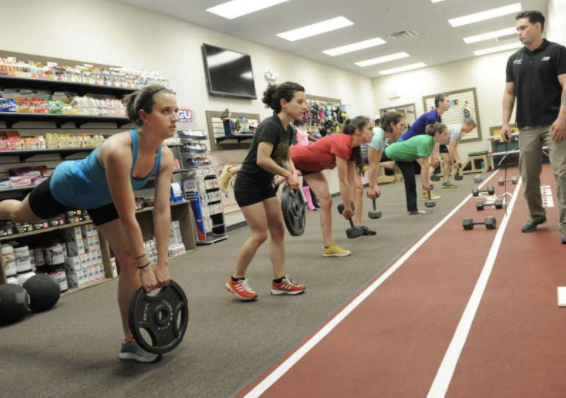 That is why we have collaborated with local fitness businesses to create a run program for the spring and summer. 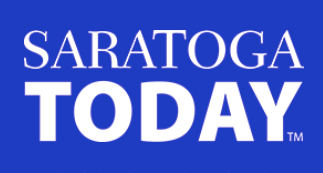 Saturday, July 21 at 8:30am at The Crossings - South Pavilion: 580 Albany Shaker Rd, Loudonville. 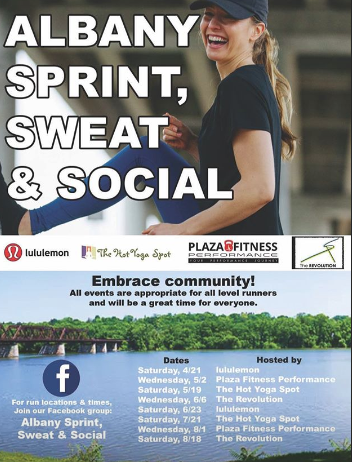 Join us for a walk/run led by Mary Beth from The Hot Yoga Spot. 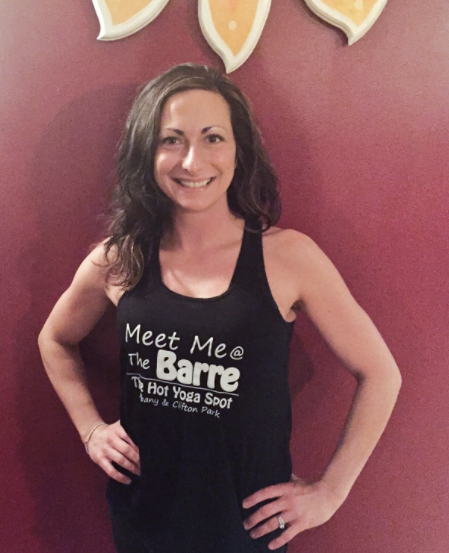 This week’s #teacherfeature is our talented instructor, Leslie. 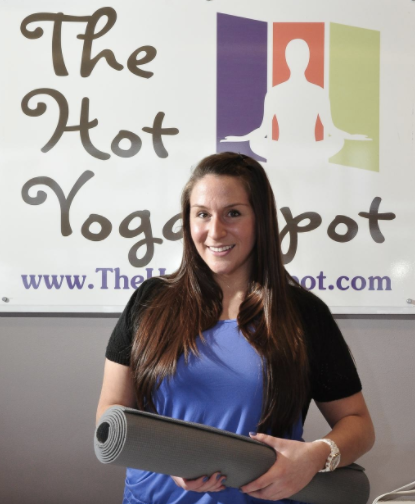 Leslie has been part of our community since we first rolled out our yoga mats in Saratoga. 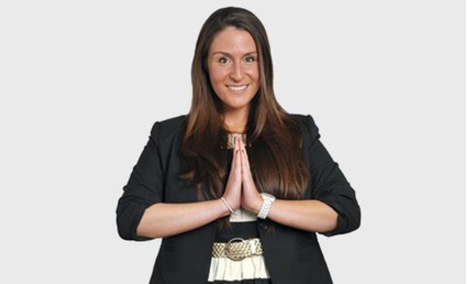 She is as dedicated to her personal yoga practice as she is to teaching awesome classes. When not at the studio, you can find her out in nature with her pups or spending quality time with her husband. 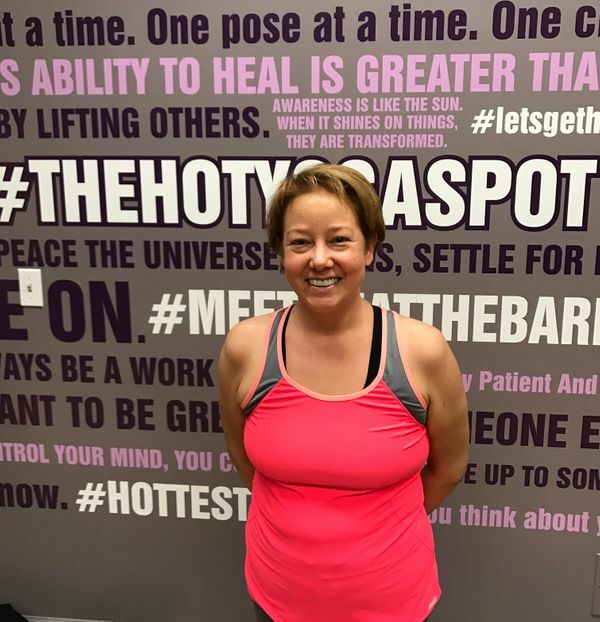 Come enjoy Leslie’s power class every Saturday at 4:00 at The Hot Yoga Spot in Saratoga. 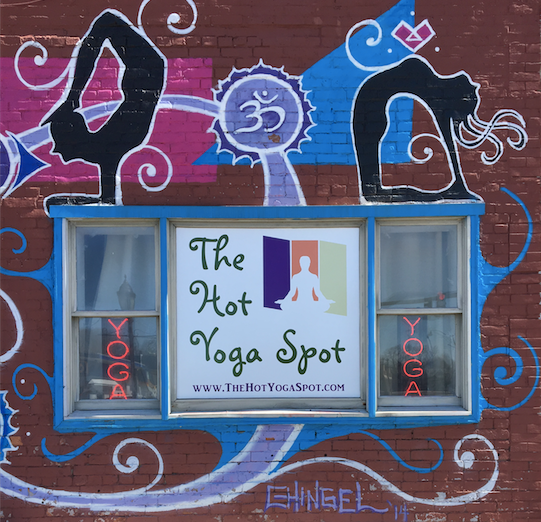 The Hot Yoga Spot Binghamton is excited to expand its class schedule and is in need of experienced, dedicated, certified instructors to guide students through an assortment of yoga sessions and styles. 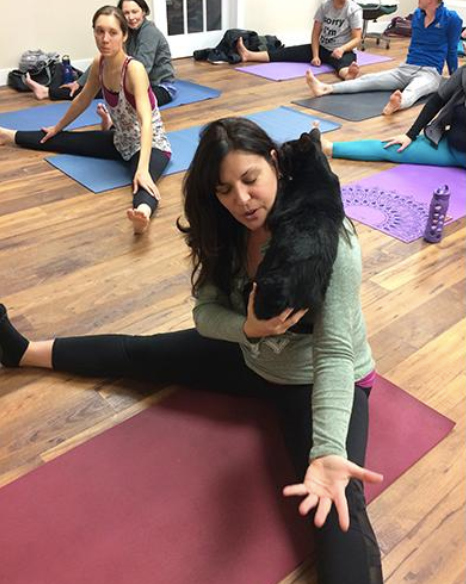 Class temperatures range from 85-105 degrees and our offerings include both Bikram yoga and vinyasa flows. 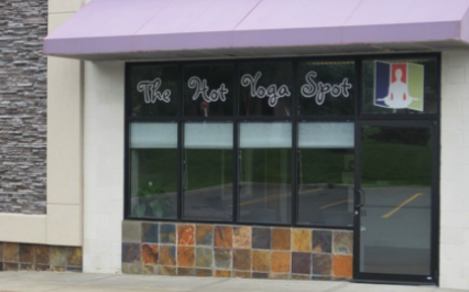 If you are interested in teaching classes at The Hot Yoga Spot in Binghamton, email us at BinghamtonHotYoga@gmail.com. 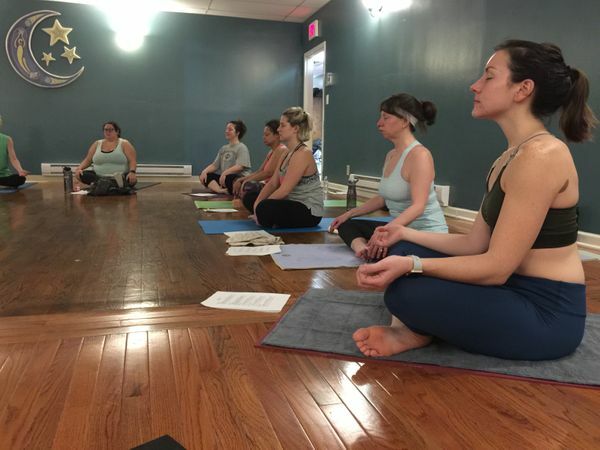 With work, school, social plans, and the stresses and responsibilities of everyday life, finding time for a yoga may seem like an impossible task. 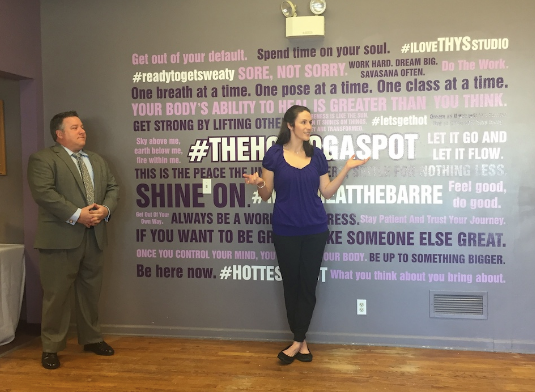 However, finding time to visit your local studio can offer many benefits, especially when you're experiencing stress. Regular participation in yoga classes will help relieve stress, and give you the energy and positive mindset to tackle your busiest days. 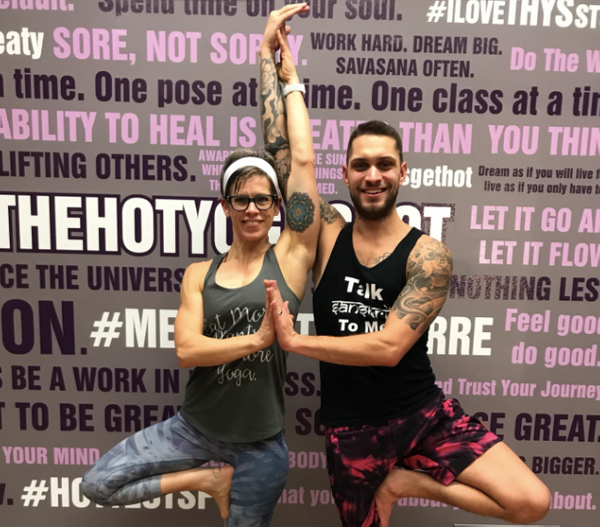 Read on to see how yoga classes can offer powerful stress relief, and sign up for a yoga class at your nearest The Hot Yoga Spot location! 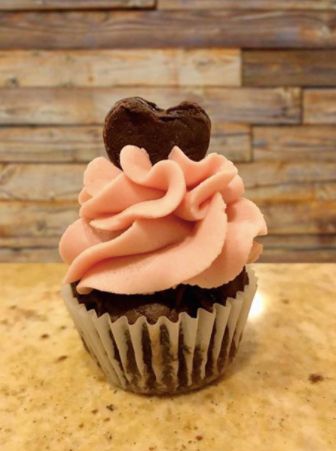 Gift Card Hours are the perfect opportunity to stop by our locations and purchase a present for your loved ones (or yourself). If you are looking to buy a holiday gift, visit the following locations at the following times. 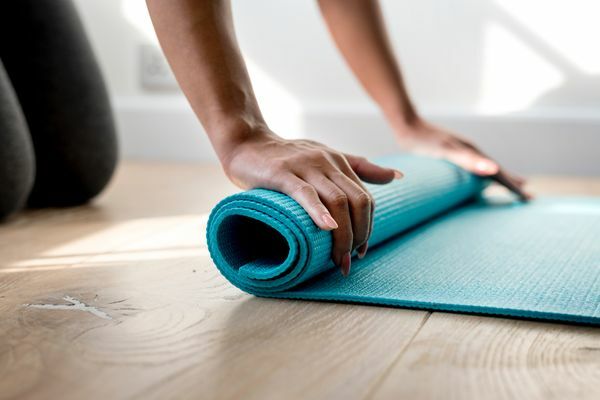 We have gift cards available in any amount, as well as all of our popular products like yoga mats, towels, bottles, journals, apparel and more. 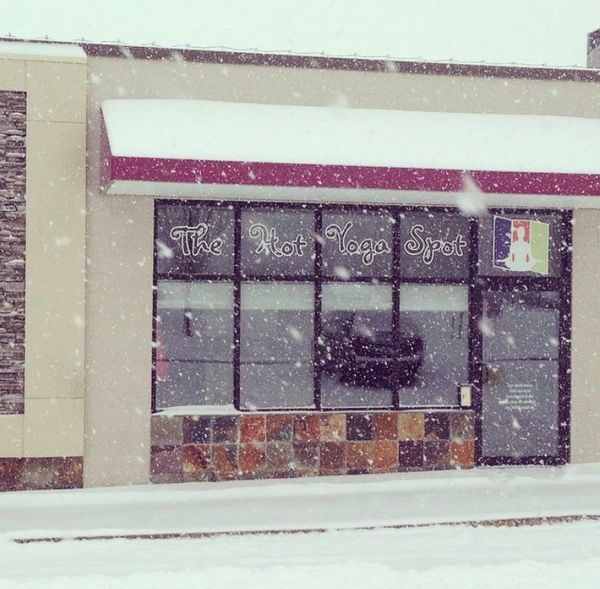 To learn more about our holiday gift card specials, click here. 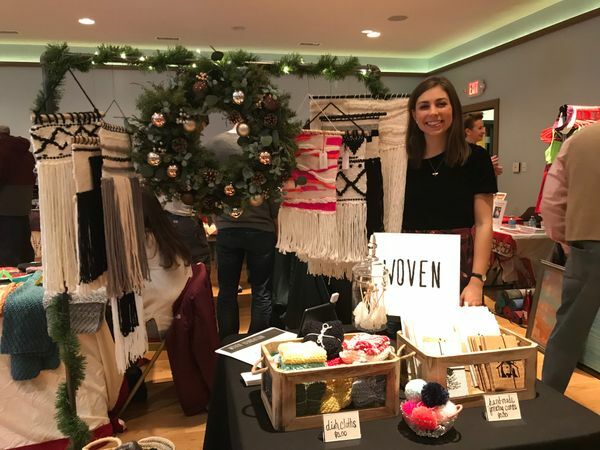 You are invited to our sixth annual holiday party! 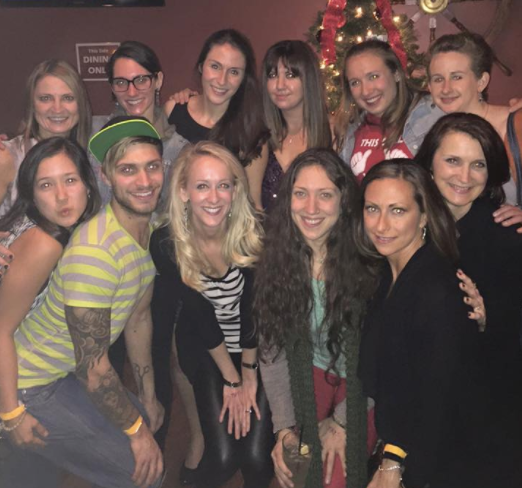 Join us for great drinks, delicious food and lots of fun with your favorite yoga community. 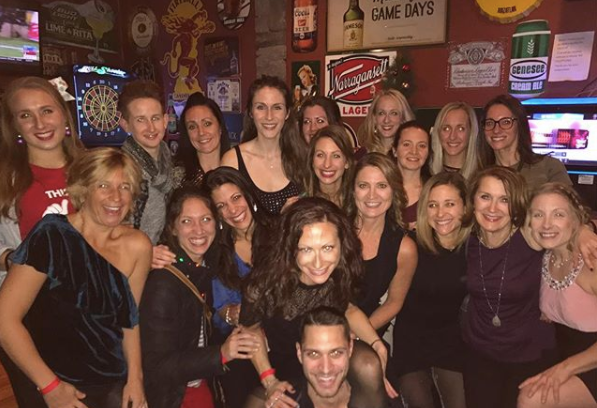 We love celebrating the holiday season with you and this is our way of thanking our amazing students and teachers for being part of our yoga family. Ships Pub - 360 Northern Blvd. Albany. 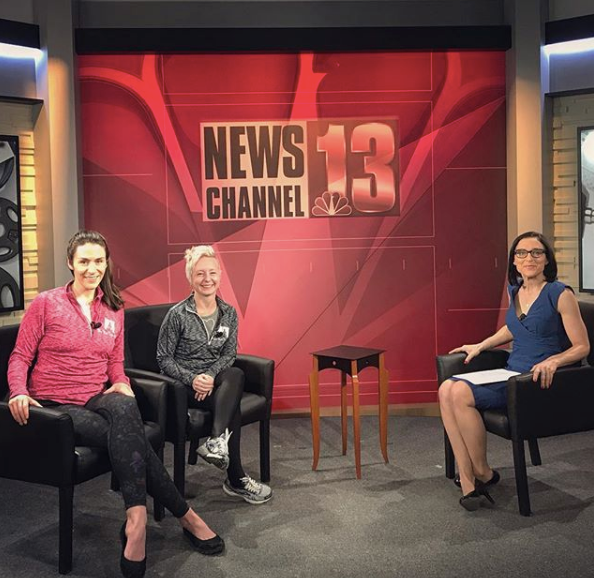 The Hot Yoga Spot is all about community and we are committed to making the Capital Region a better and healthier place. That is why the month of September is all about you, your friends and your family members. 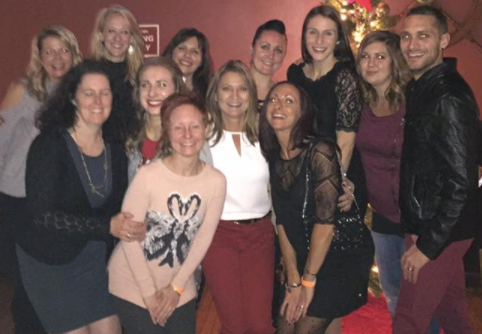 Thanks to everyone who joined in on the fun at our fifth annual holiday party. 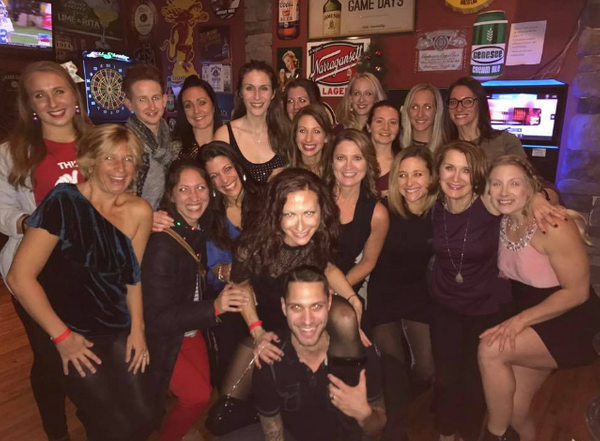 The festivities took place at Ships Pub and we loved hosting this party for our amazing teachers and students. The night was complete with open bar, delicious food and a lot of laughs. 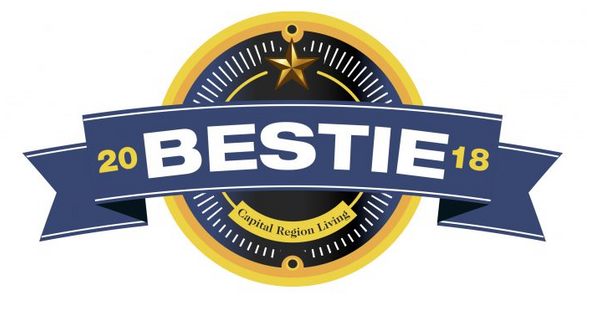 Thanks to the readers of Capital Region Living for voting The Hot Yoga Spot as one of the best studios in the Capital Region. 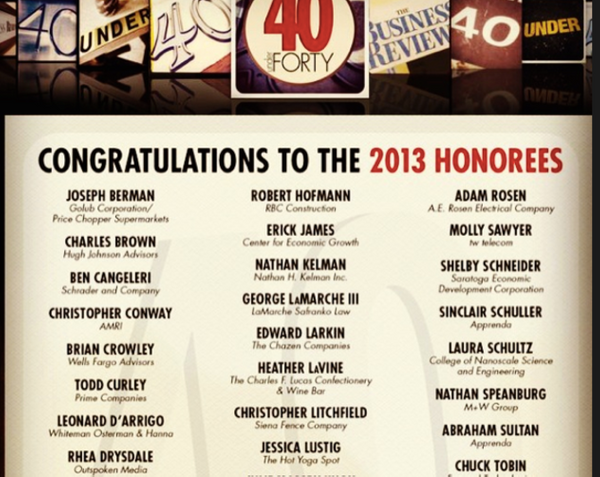 We are so honored to be on this list for the fourth year in a row and we thank you for your votes. 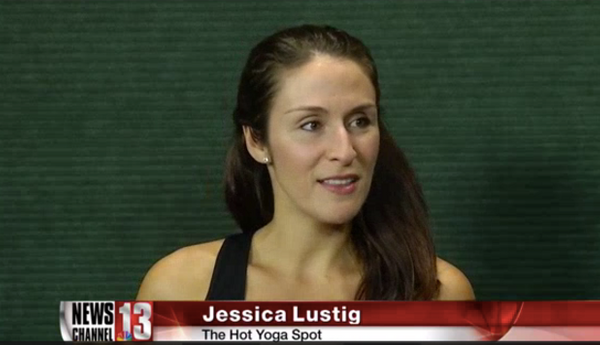 The Hot Yoga Spot founder, Jessica Lustig, was listed among female business owners in the Capital Region. 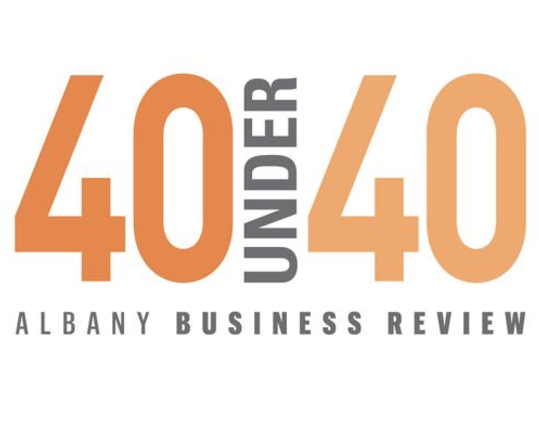 Click here to view the 40 women featured and learn more about them. 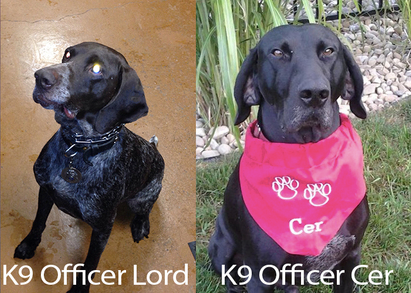 ERIE, N.Y. (WKBW) – These K9 officers will be looking sleek – and safe – in their new bullet- and stab-proof vests. 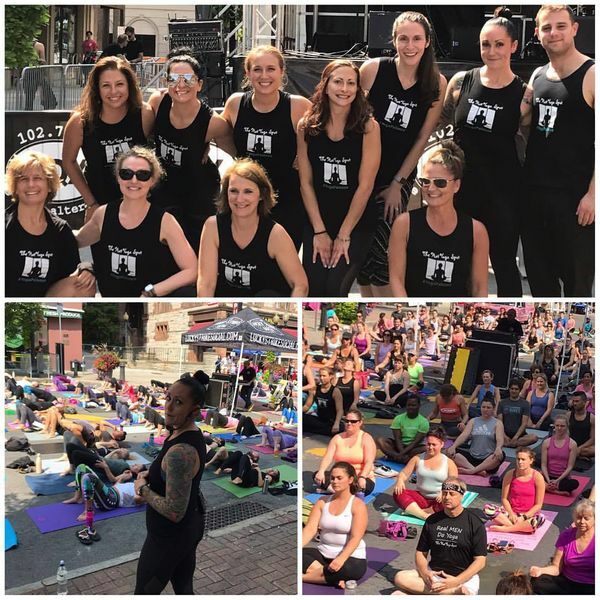 The Cannata Family Foundation of Foxboro, MA and The Hot Yoga Spot of Latham, NY donated the funds needed to buy vests for Bili, Lord and Cer of the Erie County Sheriff’s Office. 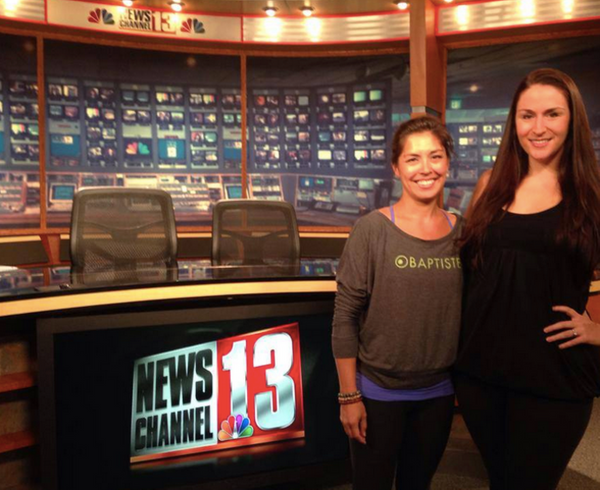 Jessica Lustig came to the Capital Region for the education and stayed to start her own business. 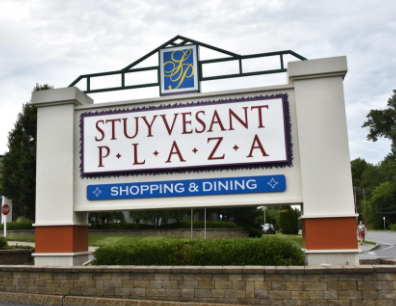 Lustig, 25, left Long Island after graduating from high school to attend the state University at Albany. She has a bachelor’s degree in European History and a master’s in education.